Found 19 file extension associations related to iThoughtsX and 1 file format developed specifically for use with iThoughtsX. 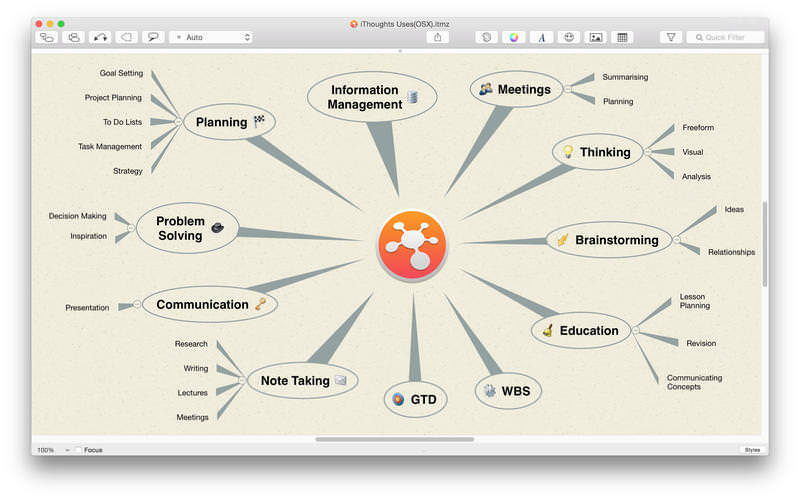 iThoughtsX is a mind mapping app for the Mac. It is based upon and fully compatible with iThoughts for iOS. iThoughtsX allows users to planning projects, create task lists, store brainstorming information, etc. It is also able import various mind map documents. If you need more information please contact the developers of iThoughtsX (Craig Scott), or check out their product website.